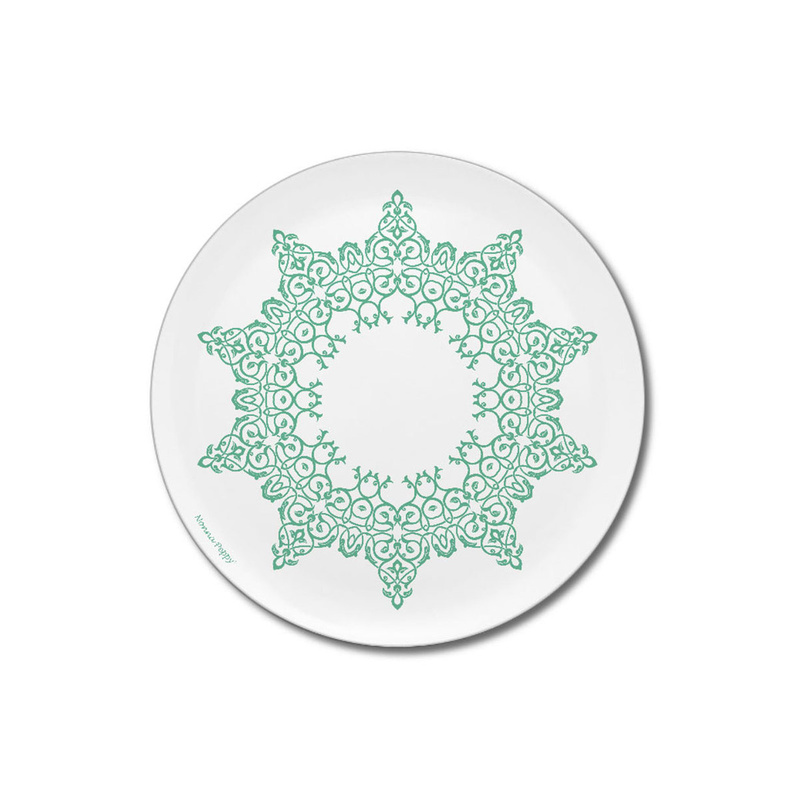 The Minty dinner plate is made in Germany from shatterproof melamine. 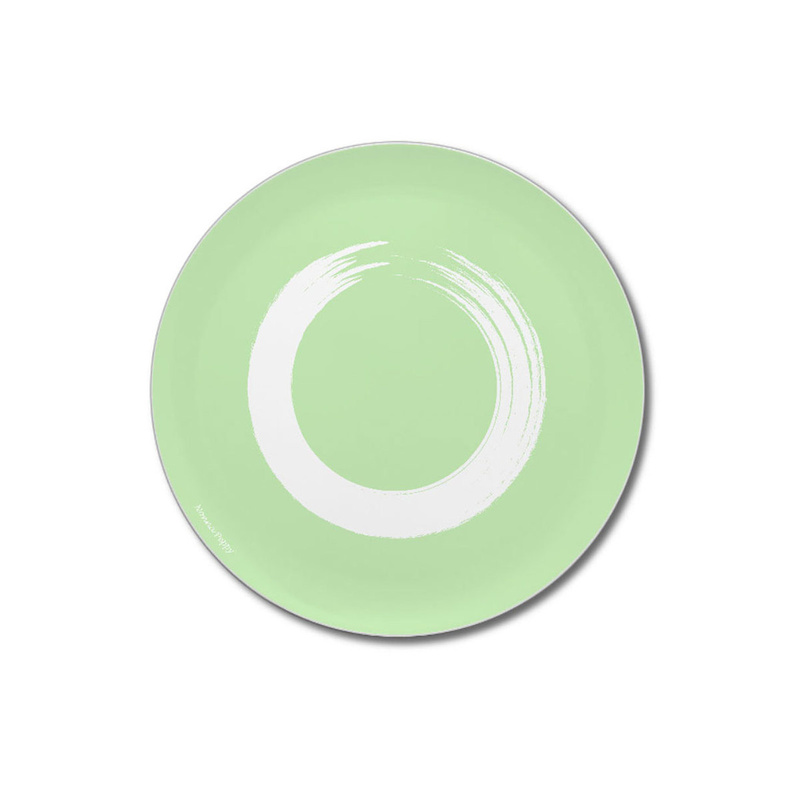 It is on sale online in a wide choice of patterns in a mint shade of colour. 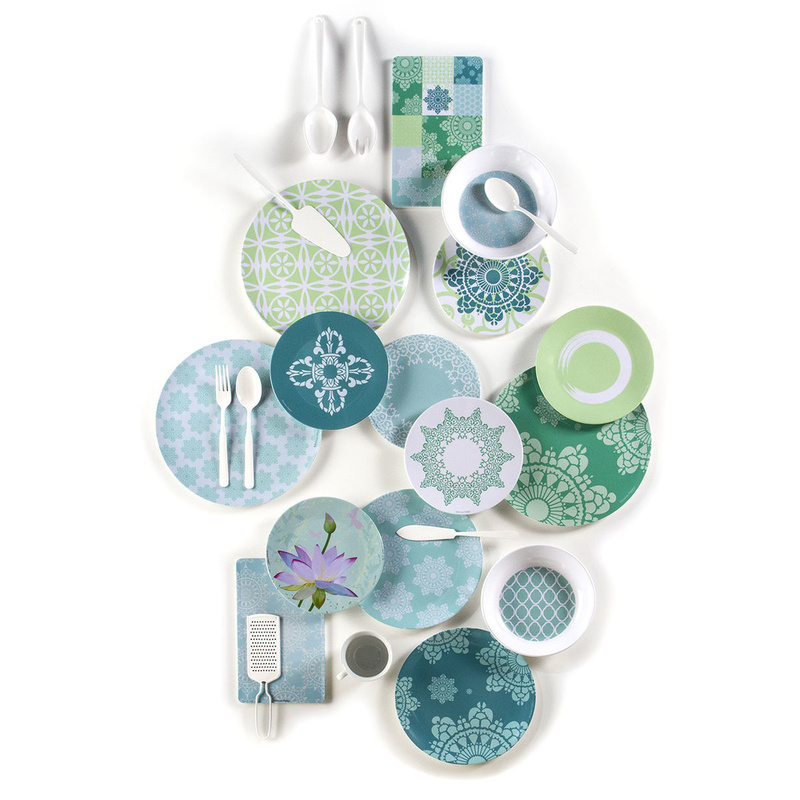 Have fun in mixing and matching different patterns and colours in order to create a fully customised dinner set! You can also add bowls, fruit plates and trays, all by Nonna Peppy. These plates are dishwasher safe. Not suitable for microwave use. 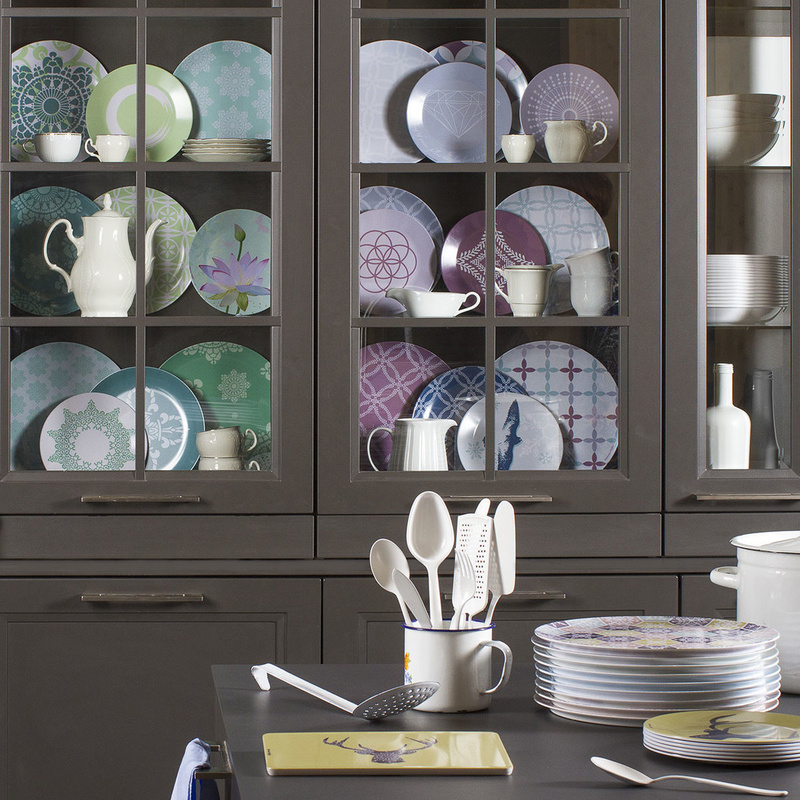 NonnaPeppyoffers a variety of mix & match, cheerfully designed tableware for a total look concept. 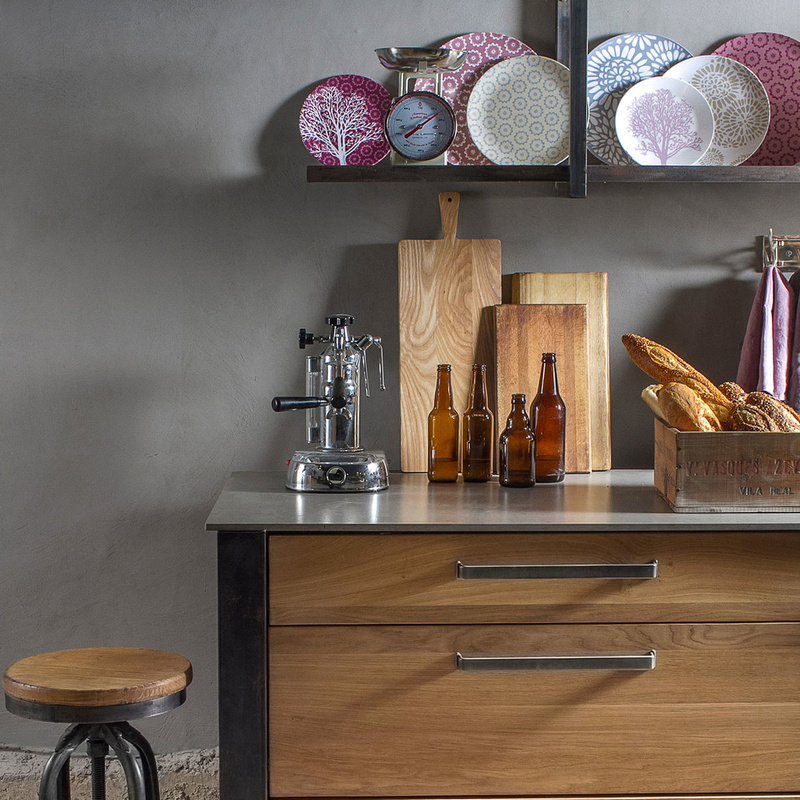 Its high quality items harmoniously complement any home, create an uplifting atmosphere in any space, enhance and support a sense of well-being.